As a Porsche works driver, Edgar Barth was at home on many race tracks. His greatest victories were won the mountain. He was named European Hill Climb Champion in 1959, 1963 and 1964. In the 1950s, Edgar Barth competed against the Porsche 356 in many races. He drove for Eisenacher Motorenwerke (EMW), but this racing collective disbanded in 1956. Barth relocated to West Germany, where he received a factory contract with Porsche. His major successes included the second overall victory for Porsche at the Targa Florio, where he won in 1959 together with his partner Wolfgang Seidel in the 718 RSK. Second place went to the Swabian trio Eberhard Mahle, Paul Ernst Stähle and Herbert Linge in a Porsche 550 Spyder. In 1959, Edgar Barth was the only works driver to join the starting line at the European Hill Climb Championship. After three victories from three starts, he drove in a rather restrained manner for the last two mountain races to avoid endangering the championship. Barth won the title in front of private Porsche drivers Heini Walter and Ernst Vogel. In 1963, Barth started out in the GT class with a 356 B Carrera GTL Abarth. The racing drivers were affected by constantly changing weather conditions at the Rossfeldstrasse near Berchtesgaden, but Barth mastered the situation with courage and beat the favourites. As a result, Porsche saw an opportunity to claim back the title it lost in 1962 to Ludovico Scarfiotti in his Ferrari. Driving the 718 RSK, Barth won five of the six hill climbs still to be driven and, for the second time, became European champion ahead of Heini Walter for Porsche and Hans Herrmann for Abarth. In 1964, Edgar Barth raced on the Rossfeldstrasse in an Elva Porsche. This racing car was based on a British chassis, fitted with the famous air-cooled eight-cylinder Porsche engine. As a result, the car was much lighter than the well-known 718 W-RS Spyder. Barth won, but he was not amused by the handling of the Elva. He contested the other races that year with the familiar 718 RSK, in which he proved to be unbeatable. Only in the last of seven races was he prevented from victory by a defective fuel pump. Barth won the Hill Climb Championship ahead of Herbert Müller, who was also racing for Porsche. 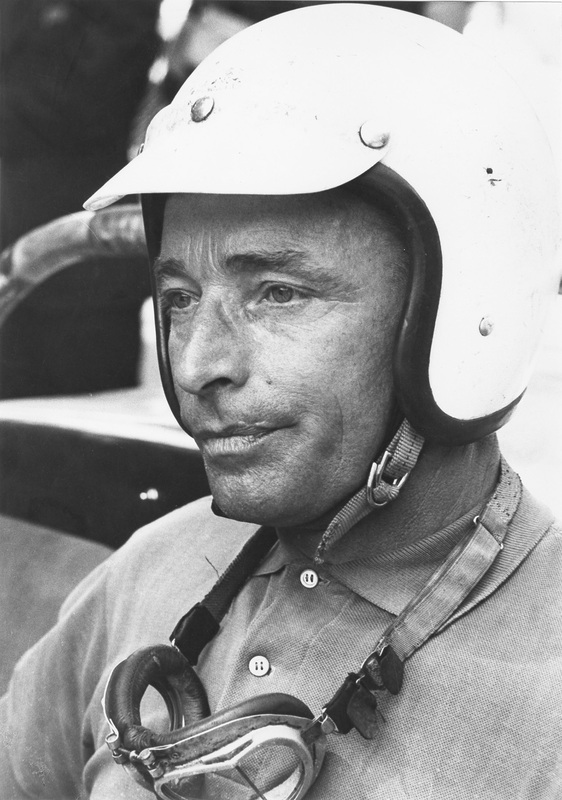 Towards the end of the 1964 season, Barth began to suffer from cancer and he succumbed to the disease in May 1965. Barth’s son Jürgen took up motor racing in 1969. He is a test and development driver who also manages the customer sport department and handles communication with the motor sports authorities in Paris. Jürgen Barth won the 24 Hours of Le Mans as a works driver in 1977.